It is hard to imagine how even a tiny island like Langkawi can have so many exceptional talents when it comes to artwork and handicraft. It now has the second largest 3D Art Museum of the world. The Craft Complex showcases exclusive items that are handmade including wood carvings, paper & other forest based products, jewelry, Songkets and lot more. There is a large center which is dedicated to Batik art created by the local artists. The co-founder herself is a specialized Batik artists and have been instrumental in motivating and developing talents in the island. And there are glass blowing studios where the artisans have been creating exclusive handcrafted glass items and crystals using glass blowing techniques. Langkawi also is the home to Langkawi International Festival of Arts (LIFA) which is held at a famous artist's "Living Art Museum" called Ibrahim Hussein Museum & Cultural Foundation, where there are displays of fabulous paintings and artwork from the artist himself. Apart from craft centers and workshops where artisans make their creations, there are also a number of retail outlets and galleries where you can buy original artwork. 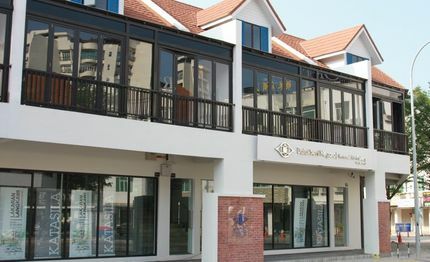 An amazing 3D art museum has come up at Oriental Village (cable car area) known as Art in Paradise. This is the second largest in the world and largest in Malaysia. It has over 100 amazing 3D artwork spread across the floors of a 3 storey building. This is a large indoor complex with several halls showcasing exquisite handicraft items created by the local artisans and craftsmen. Items include paper, wood and other forest based products, silver items, brassware, batik, ceramic and lot more. There are separate museum sections in the building that showcase the rich cultural heritage, the Royal family's lifestyle, and the Religious elements & background of the island. There are also sections from where you can purchase various items that are on sale. A complex dedicated to exclusive handmade batik products that include batik dress materials, batik paintings and handicrafts. There are also sections for original oil paintings and ceramic products. It's located only 2kms from the airport. Located in northern Langkawi just behind the Craft Complex main building, the glass blowing studio showcases exclusive glasswork items that are handmade by the local craftsmen by blowing molten glasses. You can visit and witness free live demonstration of how the pieces are handcrafted, and buy an item of your choice. A branch of the National Art Gallery of Malaysia (head quartered in Kuala Lumpur), the National Art Gallery Langkawi was opened on 25th March 2019 in Kuah at the Dayang Walk Commercial Square serving as one of the newest tourist attractions. It took around 2 years and estimated RM2.4 Million to build this spacious building with large glass panels along with its interiors. The key features includes two art galleries, an art reference center as well as workshop areas for the artists. 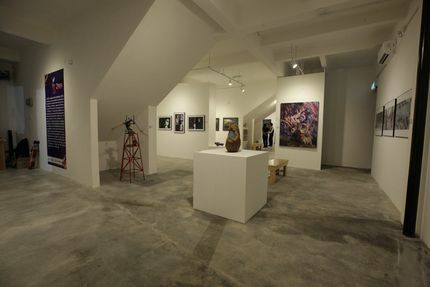 The gallery is open from 10am to 6pm daily. An art gallery and a cultural museum set up by the world renowned artist Ibrahim Hussein of Malaysia. It was set up in the year 1991 and houses many precious paintings (mostly abstract) and other artwork from the artist himself. The mission of the foundation is to promote, develop and advance art & culture with the help of national and international artists. Note: This is an Art museum & gallery. The artworks are not on sale here. A great glass blowing center where each piece of glass item and crystal is handcrafted. It started as a modest effort by two Malaysians, but now has grown into an exclusive workshop where local artists create exquisite glass items. It's located 5kms north of Kuah town. This is a large handicraft center where the artisans create genuine Malasian handcrafted items. The products includes batik printed products, silver accessories, pewter ware, white gold collections, exclusive antiques & more. You will see lots of great craft work on the walls, on glass cabinets and on shelves all across the center. Open Hours: 10am to 7:30pm daily. Located next to the Sun Cafe in Pantai Tengah, this is an exceedingly eye catching handicraft gallery with bright red and black walls. There are many select and exclusive handcrafted items on display that have beeen brought in from all over South East Asia. Items include handcrafted wooden figures, masks, silverware, classy glass & shell designs, sculptures and more.